Hi readers! 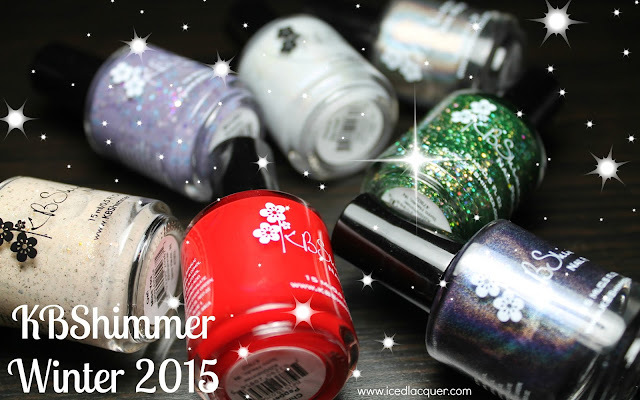 I'm continuing to work my way through my stash and tackle some untried polishes. This one I'm showing you today was actually a Christmas present from my husband! 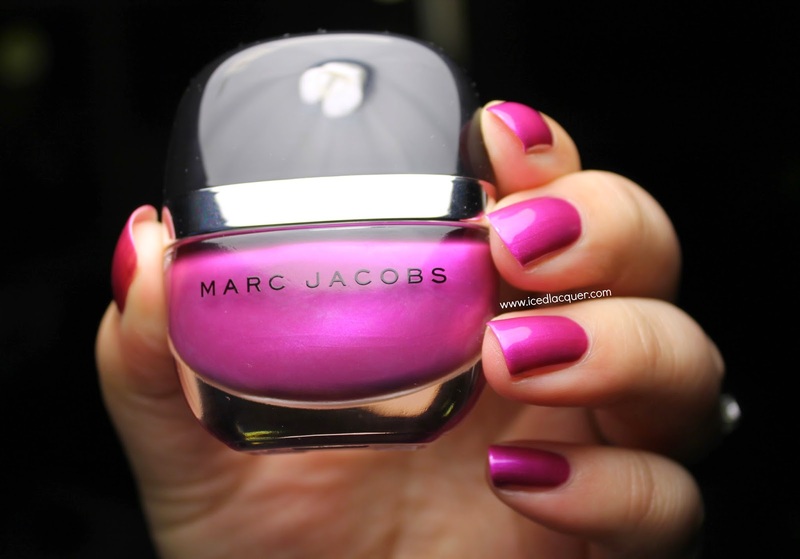 I had mentioned to him that I had been wanting to try a Marc Jacobs polish and this is the one he picked out. ;) Let's check it out. 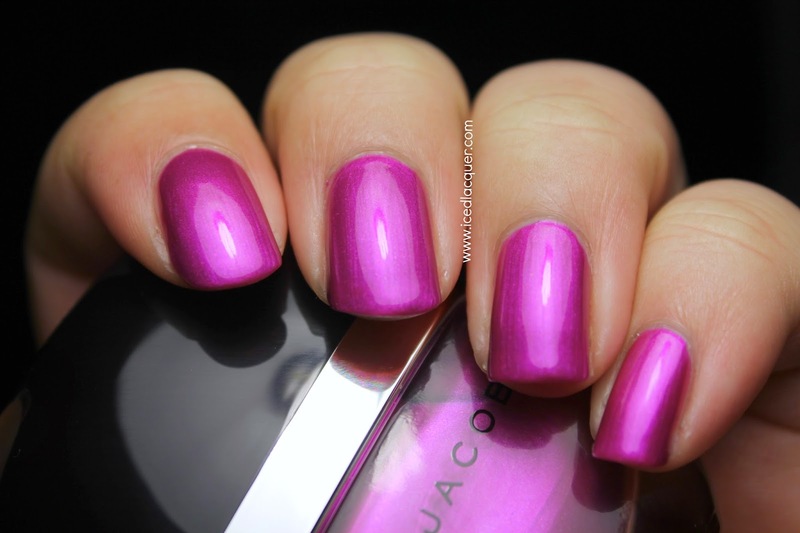 "Oui" - A vibrant magenta metallic polish with that "inner glow" look. The formula was interesting in a good way. I found that I needed to dip my brush at least twice to cover each nail (three times for my thumb), but it wasn't at all runny at all and I didn't have any issues with cuticle flooding. 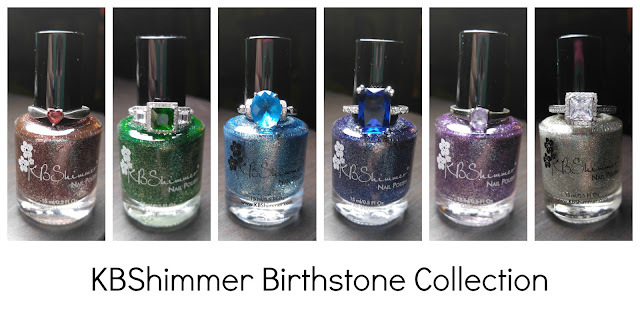 My photos show two coats plus top coat. My opinion: I have lots of magenta nail polish, but I can't say that I have any like this! Between the awesome formula and the way it looks like it's glowing from within, I'm in love. I especially appreciate the bright metallic finish that doesn't show brush strokes. This is a pretty one! 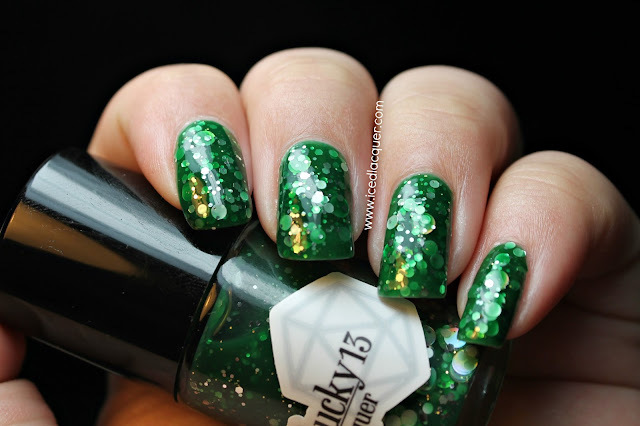 That bottle is sort of fun, too, though I can't imagine it's super easy to paint your nails while holding it.